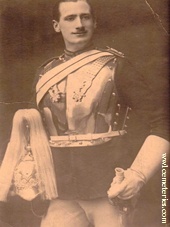 Rupert Laity, D. C. M.
6th Bn. 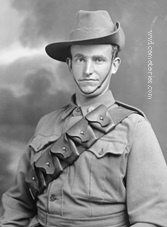 Australian Infantry, A.I.F. 20th September 1917, aged 30. Son of William and Elizabeth Laity; husband of Isabella M. Laity, of Mildura, Victoria. 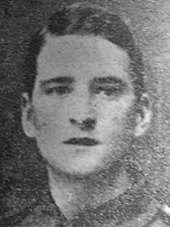 16th February 1916, aged 25. Son of John Thomas and Nancy Landamore, of Lockington, Yorks. Son of Mr. J. and Mrs. P. M. Laurie, of Cordalba, Queensland. Son of Isabella Turner Roberts, of 16, Hope St., South Yarra, Victoria. Native of South Australia. Lived at 32 Lyndhurst Road, Burnley, Lancashire. 24th Bn., Australian Infantry, A.I.F. 4th October 1917, aged 33. Son of Prosper Henry Victor and Caroline Le Roux. Native of Melbourne. 1st November 1914, aged 21. Son of James and Sarah Ann Lord, of School House, Dimple, Egerton, Bolton. 2nd March 1916, aged 22. Son of the late Richard and Jane Lord. 4th May 1915, aged 40. Frederick William London, a French Polisher at St. Pancras, London. 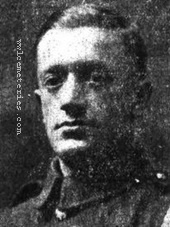 He enlisted into the 3rd Battalion, King's Royal Rifle Corps at St. Pancras in 1914 and travelled to Winchester to join the 80th Brigade in the 27th Division. The 27th Division embarked at Southampton on the 19th -21st December 1914 and disembarked at Le Havre between the 20th-23rd December 1914. The 27th Division served on the Western Front in France and Belgium. 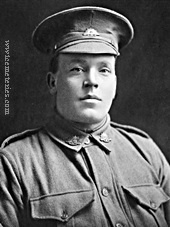 Frederick died in the Second Battles of Ypres 22nd April 1915 - 25th May 1915 at the Battle of St. Julien. He was 40 years old and left a wife and three children. 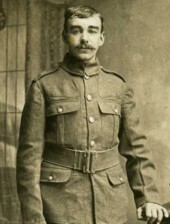 4056 Private Joseph Lawer, 15th Bn. 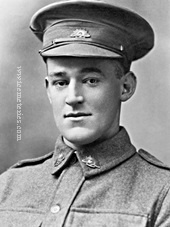 Australian Infantry, A. I. F., 24th September 1917, aged 20. 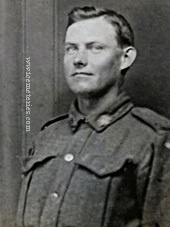 7943 Private Richard Alfred Lees, 1st Bn. 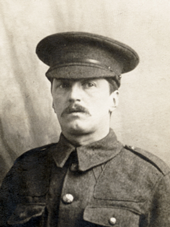 South Staffordshire Regiment, 26th October 1914, aged 25. Panel 35 and 37. Son of Henry and Christina Lees, of 8, Parkhill Rd., Smethwick, Staffs. "Let those who come after see to it that his name be not forgotton"
Remembered with warmth, love and pride his Great Niece Mrs Kate Nolan and family.